9/30 Cup of Coffee: The Hawaiian Winter League began play yesterday with the Honolulu Sharks falling 7-0 to the Waikiki Beachboys. Daniel Bard pitched 1 inning and did not allow a run. He allowed 1 hit and 1 BB. He had 1 K. Argenis Diaz went 1 for 3. Jason Place went 0 for 1 in a pinch hitting role. The Sharks play the Beachboys again on Sunday. Taiwanbaseball.com is reporting that the Red Sox have signed 18-year-old lefty-hitting Taiwanese C Chia-Chu Chen, a highly regarded hitting prospect with good defense behind the plate. It has also been reported that he will be taking part in the Fall Instructional League. With their win tonight over the Minnesota Twins and the Yankees' loss to Baltimore, the Boston Red Sox have clinched the AL East Division title for the first time since 1995. The Sox will face off against the Anaheim Angels in the first round of the post-season. SoxProspects.com would like to congratulate Clay Buchholz, Jonathan Papelbon, Brandon Moss, Dustin Pedroia, Jon Lester, Jacoby Ellsbury, Manny Delcarmen, and Bryan Corey for their contributions to the division crown. In April 2006, SoxProspects.com ranked the pictured prospects as follows: #1 Jonathan Papelbon; #2 Jon Lester; #4 Dustin Pedroia; #5 Manny Delcarmen; #6 Jacoby Ellsbury; #8 Clay Buchholz; #10 Brandon Moss. Corey was not with the organization at the time. While not pictured, former Sox Prospect Kevin Youkilis made tremdendous contributions to the club in 2007, and ex-prospects Kason Gabbard and David Murphy surely helped the Sox to a few wins this season. General Manager Theo Epstein and Manager Terry Francona announced this afternoon that the Red Sox have decided that as a preventative measure RHP Clay Buchholz will not pitch again this season, including the post-season. Francona told reporters that the decision was the result of strength and mobility tests that indicated fatigue. Francona and Epstein both emphasized that Buchholz has not suffered an injury. Epstein told reporters that fatigue prompted in the long layoff between his Sept. 6 relief appearance against Baltimore and his Sept. 19 start in Toronto, and resurfaced in an unproductive bullpen session Sept. 22. Buchholz had been approaching his team-mandated innings limit of 155. In four games (three starts) with the big club Buchholz went 3-1 with an 1.59 ERA (four ER) allowing 14 hits over 22.2 IP, striking out 22 and walking 10. The honorees are selected by the Red Sox baseball operations department and minor league roving instructors. According to Eric Wilbur of Boston.com, Gabe Kapler recently informed the Red Sox Front Office that he is stepping down from his position as manager of the Greenville Drive in an attempt to revive his big league playing career next season. In a Red Sox press release, Kapler, 32, stated that while he found the managing to be an incredible learning experience, "Ultimately, the experience reawakened the competitor in me. I miss the battle. I still need to be on the field as a player." Heading into the off-season, Kapler is now a free agent, free to sign with any MLB team. The Red Sox have assigned the following seven players to the Mesa Solar Sox of the Arizona Fall League (season begins Oct. 9): SS Jed Lowrie (Pawtucket); 1B Chris Carter (Pawtucket); C Dusty Brown (Portland); RHP Craig Hansen (Pawtucket); LHP Hunter Jones (Portland); LHP Daniel Haigwood (Portland); and RHP Jose Vaquendano (Portland). The following five players have been assigned to the Honolulu Sharks of the Hawaii Winter Baseball League (season begins Sept. 29): OF Ryan Kalish (Lowell); OF Jason Place (Greenville); SS Argenis Diaz (Greenville); RHP Daniel Bard (Greenville); and RHP Jimmy James (Greenville). Additionally, OF Brandon Moss will be working at 1B for the Águilas Cibaeñas of the Dominican Winter Baseball League. The rosters for the the remainder of the Dominican, Puerto Rican, Mexican, and Venezuelan Winter Leagues will be announced soon. The Boston Red Sox have announced that the following players will be taking part in the Fall Instructional League (FIL). The Fall Instructional League is typically for short-season, rookie-level, and recently drafted players to refine their skills under the close instruction of minor league coaches and coordinators, similar to the Gulf Coast League. The FIL takes place in Florida every year from mid-September to late October. Boston plays its FIL games in Ft. Myers. Although not always the case, an invitation to the FIL usually indicates that the team is willing to invest time and money in the given player for the foreseeable future. On days off, players take part in fundamentals drills and workouts. Typically, a significant portion of the whole Red Sox management attends each year to examine the next crop of prospects. Pitchers: RHP Austin Bailey (GCL Red Sox); LHP Drake Britton (GCL Red Sox); LHP Cesar Cabral (DSL Red Sox); RHP Yeiper Castillo (DSL Red Sox); RHP Randy Consuegra (DSL Red Sox); RHP Jordan Craft (Lowell); RHP Jennel Hudson; RHP Brock Huntzinger (GCL Red Sox); RHP Richie Lentz (Greenville); RHP Leandro Marin (DSL Red Sox); RHP Willy Mota (Lowell); RHP Stolmy Pimentel (DSL Red Sox); RHP Chris Province (Greenville); RHP Miguel Socolovich (Lowell); RHP Hunter Strickland (GCL Red Sox); LHP Armando Zerpa (GCL Red Sox). Position Players: C Jon Egan (Greenville); C Ty Weeden (Lowell); C Wil Vazquez (Lowell); C Rafael Gil (DSL Red Sox); SS Michael Almanzar; 3B Darren Blocker (GCL Red Sox); INF/DH Ricardo Burgos (GCL Red Sox); 2B/SS Ryan Dent (Lowell); 3B Will Middlebrooks (GCL Red Sox); 3B/SS Yamaico Navarro (Lowell); 1B Anthony Rizzo (GCL Red Sox); 2B Ken Roque (GCL Red Sox); SS Oscar Tejada (Lowell); OF Ronald Bermudez (DSL Red Sox) OF Zach Daeges (Lancaster); OF Reid Engel (Greenville); OF Kade Keowen (Lowell); OF Che-Hsuan Lin (Lowell); OF David Mailman (GCL Red Sox). JS: Who is the most exciting player you’ve seen this season on the Spinners? MD: As far as excitement goes, nobody comes close to Ryan Kalish. Even though we only got a glimpse of him for less than a month, Kalish's impact was huge. He is one of few players who when he comes to bat, you expect something special to happen and if you are an opposing pitcher you are better off throwing strikes to him because if you walk him its an automatic double. Hopefully Kalish will recover well from his injury and if he does so he most certainly is on the fast track to Boston and someone who could be up for a cup of coffee as early as 2009. JS: Who is the most exciting player you’ve seen on an opposing team this season? MD: That is alot harder to tell. The league was very balanced this year and there are alot of players around the league who were outstanding and likely will be impact players at the next level. The one player who was most dominant perhaps, although we only saw him for three games, was Todd Martin of Mahoning Valley. He's one of those guys who reminds you a little bit of Vladimir Guerrero in his approach at the plate. You throw a strike and he's going to crush it. You throw him a ball, he'll crush that too. Basically you have to throw it in the dirt if you want to get him out. If I am not mistaken, he was a very late round if not undrafted player, so for him to be amongst the league leaders this year as well as dominant as he was makes it a great story. JS: What was the most memorable moment/experience/game/play you had this season? MD: Nothing can ever top the Futures at Fenway game back in mid August. Just the experience for everyone of getting to play there first of all and second of all the fact that the Spinners came back to tie the game in the 8th and then win on a walk off in the 9th will stand paramount in my mind. Many times this year I spoke with others around the team and we reminisced on all the great moments and big wins this year, but it all came back to Fenway. JS: Which Spinners player showed the most improvement throughout the season? MD: Hands down Willy Mota. At the beginning of the year he was still learning how to pitch after being converted from an outfielder and while his fastball topped out in the mid 90s he had trouble throwing it for strikes and the only secondary pitch he threw, a slider, often times did not have much bite and stayed up in the zone. But as the year went on he learned how to consistently throw strikes with his fastball and also work his slider in well and did not give up a run over the final month and a half of the season. That alone speaks volumes of Mota who only one year ago was roaming the outfield for the Spinners. JS: Which player that no one talks about will have a nice major league career? MD: Obviously at this level it is still hard to project. The few who will make the majors typically are already stand outs here or expected to stand out soon. However that being said, the guys who typically do not get alot of hype at this level, but end up making it pro are left handed relievers. Basically because if you are a lefty and can throw strikes, you've got a chance. Thus a guy who may be of the radar but could surprise is Adam Blackley. Don't be fooled by his ERA (nearly half the runs he gave up were in two games against Oneonta), Blackley dominated NYPL opponents this year, leading all relievers in strikeouts, averaging nearly 2 per inning and his curveball and changeup are unhittable. While he only throws his fastball 87-89, his offspeed pitchers are SO effective that they alone could be enough to make him a viable set up man someday in the majors. JS: Is there one player that is considered the leader of the clubhouse? MD: When Ryan Kalish went down due to injury and eventually left the team soon thereafter to rehab in Florida, the Spinners were left without their leader. Although he was only 19, if you ask any one of the players who the team leader in the clubhouse was, it was Kalish. I think following his injury it was tough for someone else to take that role on and as a result you saw Lowell tail off a bit down the stretch. JS: What is your assessment on the job of the coaching staff this season for the Spinners? MD: It was a great mix of both youth and experience. On one hand you had Hitting Coach Alan Mauthe, a long time veteran of the Spinners coaching staff and on the other hand you had newcomers in Manager Gary DiSarcina, Pitching Coach Laz Gutierrez and Infield Coach Carlos Febles. Year in and year out Mauthe has boasted one of the top hitting teams in the league which again was the case this year. When you look at the tremendous turnaround Jorge Jimenez had from a year ago and also some of the first year guys who made smooth transitions to pro ball, it is easy to see Mauthe's impact. The Spinners consistently had one of the top pitching teams in the league, but the real testament for Laz Gutierrez was teaching some pitchers who had struggled with walks in the past, to learn how to establish their fastballs for strikes and work off of it which paid huge dividends. Also, Gutierrez deserves alot of the credit for the transformation of Willy Mota and the establishing of Felix Ventura into a top notch closer. The pro experience Carlos Febles brought to the team proved to be a huge impact. Whenever guys got off the beaten path, Febles was instrumental in steering them in the right direction and telling them what it takes to make it to the next level. I think alot of guys really respected and looked up to Carlos as well, which went a long way. Finally for Gary, like I said earlier in the year in this feature, for a guy who never managed before, he looked like a natural. As in any season there are ups and downs, nothing is ever easy and I believe that he did a great job keeping the guys even keel throughout, while also teaching them how to win, have fun and also aid their development. In my eyes, the coaching staff did an exceptional job. JS: Who is the most exciting player you’ve seen this season on the JetHawks? JL: Still probably Bubba Bell. He had that mix of tools, none spectacular, but all of them present, along with that 100 % hustle all the time and the personality that came out in the way he played for us. He was exciting at the plate as he grinded out every at bat. He could hit a homer at any time, but could also punch a ball through a hole or drive one into the gap. When Inland Empire played a shift with three players on the right side of the infield, he took what he was given and singled over and over to left, forcing them to adjust their shift. He’s also the only player this season to steal a bag now and then, getting into double digits. He was a team leader and would give up his body on defense. Everyone was inspired when he was taken to the hospital and demanded to be in the lineup the next day. The way Zach Daeges and Brad Correll hit in the second half though was pretty spectacular. Correll had that start with us for a few weeks where you really thought he was going to hit a home run every time up. JL: We haven’t seen a ton of really exciting players, though we’ve seen lots of very good big leaguers. I can’t really say Justin Upton because we only saw him one series and while he hit well, it was before he found his power stroke and he really just had a bunch of singles against us. I suppose I’d say Eric Young Jr. from the Rockies organization. He has game-changing speed and an ability to get extra bases. He made things happen. JL: There are so many of them and they really do mix together over the course of the season, so I’m having a tough time picking them out. The July 4 tie-breaker was thrilling, although a bit anti-climactic since we dominated the game throughout. Steve Garrabrants hitting the home run to break the franchise home run record was great which was an inside-the-parker. Michael Bowden’s dominating start in San Jose comes to mind. Too many great memories on and off the field with this group to come up with them all. JS: Which JetHawk player showed the most improvement throughout the season? JL: This is in many ways the most important question of all, of course. When I think of improvement, Kris Johnson certainly comes to mind. He had a really tough time early in the year trusting his stuff and because of that, worked in so many deep counts that he wouldn’t last very long. Now he gives you at least a solid start every time out and has had some dominating efforts. Ryan Khoury really earned his playing time and became an everyday player. Zach Daeges got over a slump early in the year and had an all-star second half where he was creaming extra-base hits. Mickey Hall is someone who I hadn’t seen in the past but from talking with Chad Epperson and Dave Joppie has shown a lot of improvement in how he handles the bat and has become an excellent defensive center fielder. And Justin Masterson really put things together, of course, and became the most dominant pitcher in the league for the month before his promotion to Portland …where he got even better! JL: This is always a tough one to judge. I suppose maybe one of the pitchers. Hunter Jones is a guy who flew under the radar because he wasn’t used in a closer or even a set-up role, but as a middle reliever. But he really became the go-to guy out of the bullpen. Left-handed pitcher who throws 90 with a good curveball. He’s deceptive, which also helps. So if you’re looking for a real sleeper to make the big leagues, it could be Hunter. JL: I think the veterans as a whole do that job. In the first half I would have said Bubba. In the second half it’s more the group of them that set the tone. Also, Chad Epperson is such a popular manager and is so good at working the clubhouse, that the players do a good job of keeping discipline. I’d say the guys that help the clubhouse go, however, are veterans like Brad Correll and Scott White with the offense. John Barnes was a great clubhouse guy while he was here. T.J. Large is also a very popular teammate. But since Bubba left, it hasn’t really been one guy. JS: What is your assessment on the job the coaching staff did throughout the season? JL: I’ve been extremely impressed with our coaching staff this year; they are first rate all the way around. It all starts with Chad , the California League’s obvious choice for manager of the year. He doesn’t over-manage these guys, he lets them go out and play. However, his fingerprints are all over the team. He keeps a very loose clubhouse. The players feel they can kid around and have fun with him. He doesn’t yell, he doesn’t get in guys faces. But they know what is expected of them and he’ll tell them if they are not meeting that level. Bob Kipper is a great influence on young pitchers, which is probably why the Red Sox have mostly kept him in his hometown of Greenville . I think they wanted him in Lancaster this season because he had the patience to guide these talented pitchers through a tough situation at the Hangar. Dave Joppie is every good with the mechanics of the swing. I’ve heard several of our hitters this year talk about how good Jopp is at working with guys within the context of their swing, rather than try to get them to do radical things they are uncomfortable with. All three are fun to talk with and I’ve really enjoyed being in their company this year- especially on the golf course. JS: Any thoughts on Lars Anderson during his short time with the Jethawks? JL: I really can’t tell you much about Lars because I’ve only seen him three games. I was gone doing my college football work the last nine games of the season, so I’ve just seen the numbers. Obviously, he’s a player with a lot of tools and I’m excited to see him as the JetHawks regular first baseman next April. Besides, after having a Bubba, an Iggy, and a Hunter to call this year, only a Lars can follow that up. 9/12 Cup of Coffee: It is hard to believe that this is the last Cup of Coffee left in the pot and the pot won't be refilled until the Arizona Fall League begins. All this the result of Lancaster being eliminated from the Cal League playoffs last night as a result of a 14-7 loss to Lake Elsinore. They were outhit in the game 19-6. The Jethawks, after such a strong regular season winning both halves, fell easily 3 games to 1 in the first round of the playoffs. It is a disappointing end to what otherwise was an excellent regular season by the team. TJ Nall started the game and took the loss. He gave up 5 runs on 9 hits and a BB. He had 2 K. TJ Large went 2 innings and gave up 6 runs on 5 hits and 2 BB. He had 1 K. Chad Rhoades threw 1 2/3 innings allowing 2 runs on 3 hits. He had 1 K. Blake Maxwell pitched the final inning allowing 1 run on 2 hits and a BB. He had 1 K. Sal Paniagua went 2 for 4 with 2 home runs and 5 RBI. Bell hit .337/.420/.584 with 26 home runs and 105 RBI between stints playing CF for Lancaster and Portland. Before being promoted to AA, he led the California League in all three triple crown categories, earning himself the California League MVP, All Star, and Rookie of the Year honors. Bell led all vote-getters for Offensive Player of the Year, earning 22 first place votes. In 2006, Bell hit .290 playing for Lowell, Greenville, and Wilmington. Buchholz is a repeat winner, as he also took home Pitcher of the Year honors in 2006. In the minors this season, Buchholz went 8-5 with a 2.44 ERA, 171 strikeouts and 35 walks in 125.1 IP, establishing himself as one of the top pitching prospects in all of baseball and all but assuring himself of spot in Boston's starting rotation in 2008. As of September 1, he is 3-0 with a 1.50 ERA in three appearances for Boston, and as we all know he pitched a no-hitter against the Orioles on September 1. In his first active year in the organization, Reddick hit .305/.351/.530 with 18 home runs and 72 RBI in 95 games for Greenville. Reddick just edged out Lars Anderson, who also was very impressive in his first year in pro ball, spending time in Greenville and Lancaster. After a down year playing in pitcher-friendly Wilmington in 2006, Lowrie re-established himself in 2007 with impressive stints in Portland and Pawtucket, cumulatively hitting .298/.393/.503 with 13 home runs and 79 RBI. He also improved defensively any should vie for some time with the big club in 2008. 9/11 Cup of Coffee: Lancaster now faces elimination after losing 9-2 to Lake Elsinore last night. Travis Beazley started and took the loss going 5 innings. He allowed 1 run on 6 hits and 3 BB. He had 2 Ks. Ismael Casillas threw 1/3 of an inning and allowed 5 runs on 4 hits and a BB. Cody McAllister finished the final 2 2/3 frames and gave up 3 runs on 3 hits. He had 3 Ks. Zak Farkes was the only Jethawk player having more than 1 hit. He went 2 for 4. Zach Daeges went 1 for 2 and scored a run. 9/10 Cup of Coffee: Lancaster lost game two to Lake Elsinore 14-9. The Jethawks blew a 6-0 lead in the contest giving up 4 runs in the 5th inning and 9 more in the 6th. Dustin Richardson went 5 innings allowing 4 runs on 5 hits and a BB. He had 2 Ks. Blake Maxwell was charged with a blown save and the loss. He retired just one batter while giving up 5 runs on 4 hits and a BB. Jason Blackey threw 2 2/3 innings giving up 5 runs on 5 hits and 2 BB. He had 1 K. Kyle Fernandes went 1 scoreless inning. He allowed 1 hit and a BB. He had 1 K. Zach Daeges went 2 for 5 and scored a run. Brad Correll went 2 for 4 with a home run and 2 RBI. Lars Anderson went 2 for 4 with a home run, 2 runs scored and 2 RBI. Sal Paniagua went 3 for 4 with 2 home runs, 3 runs scored and 4 RBI. Q: What is the best rivalry in the NFL? Michael Bowden: Bears and Packers. Clay Buchholz: For me, growing up in Texas, it was always the Bills and the Cowboys. That’s my take on it. Jacoby Ellsbury: The Colts against the Patriots is a lot of fun for me. I love the Manning/Brady match-up. Nick Hagadone: I don’t know, but Michigan versus Ohio State is bigger than all of them. When they play, ESPN is all over the game for a week. Justin Masterson: There are a lot of good ones, but the Browns versus the Bengals is what I like to watch. Both teams being in the same state is one of the things that makes it such a good rivalry. Jeff Natale: Colts vs. Pats. Four Super Bowls between them in the last, like, five years, and the two best QBs in the league. Brandon Moss: Being from Atlanta, I’d have to say Atlanta versus New Orleans. They play each other every year, and it matters to a lot of people. Beau Vaughan: Being from the west, I’ll say it’s the Broncos and the Chiefs. People in the east might say something like Giants/Eagles or Patriots/Jets. Will Vazquez: I think it’s Browns versus Steelers, although maybe that’s because I’m from Cleveland. Even with the Browns being pretty bad recently, it still gets a little crazy when they play each other. Ty Weeden: I’m more of a college football fan, but it seems like the Raiders usually have a lot of them. Nothing is bigger than Oklahoma and Texas, though. Q: Peyton Manning or Tom Brady? Bowden: Peyton Manning because of his commercials. Buchholz: I’ve got to go with Manning. Brady has won a few Super Bowls, but Manning has done a great job and has won one himself now. Ellsbury: To be honest, I like both of them. It was nice to see Manning finally win a Super Bowl. Hagadone: Manning. He takes care of the offense and calls all of the plays at the line – the game is his. Masterson: Manning, without a doubt. Nothing against Brady, but Manning is smart and a great leader. Moss: They’re both unbelievable, so I’ll take either one. But if I had to take one or the other, I guess I’d go with Brady. Natale: No Question; Tom Brady. Vazquez: Oh man, that’s a lot like choosing between Jeter and A-Rod. I guess I’ll go with Manning, because he has one under his belt now. Vaughan: On the field or on Saturday Night Live? I’ll take Peyton. Weeden: I think I’d have to say Manning. Brady is more clutch, though. Q: Your opinion of Brett Favre, including his decision to play again this season? Bowden: Why not keep doing what you love for as long as you can? He might be old, but he can still carry a team. Buchholz: He’s a great football player, and he has a lot of records on his mind right now. I’ve had a chance to meet him, because my cousin, Ty Detmer, played with him a few years ago. Ellsbury: If he can still do it – if his body can hold up and he’s still having fun out there – he should keep playing. Hagadone: He loves the game, so as long as he has the fire, and the desire, he should play. He’s not as good as he was in his prime, but he’s still one of the best. Masterson: I think he should definitely be playing. He’s a leader, and he’s probably still the hardest thrower in the league. Moss: He’s an absolute gamer, so it’s like asking if Clemens should have come back. He’s the man. Natale: Tell that geezer to give it up! Vazquez: As long as he feels like he can still compete, and that he can stay safe, he should play. If he can’t avoid the rush any more, then it’s a problem. Vaughan: He should keep playing until he’s in a wheelchair. Brett Favre is Green Bay. Weeden: I think he should have gone out when he was still on top, three or four years ago. I give him credit for freaking going out there and giving it his all, but he looked like a fool at times last year. Q: Your opinion of the Michael Vick situation? Bowden: My mom told me if I didn’t have anything nice to say, don't say it at all. Buchholz: Right now, he has his views of what happened and it’s his word against what other people are saying. He’s the best athlete in the NFL, and regardless of what happens from here, he’s just going to have to move forward. Ellsbury: It’s a tough situation, and it’s unfortunate. Hopefully he learns from it. Hagadone: He’s admitted to doing it, so once he does his time, he should be able to play again. He shouldn’t be punished beyond that. Masterson: He should get what he deserves, just like anyone else. Being an athlete makes it a higher platform, but that shouldn’t have a bearing on what the offense calls for. Moss: I probably shouldn’t even comment. Let’s just say that, given his situation, he should have used better judgment. Natale: Hopefully he'll never play another snap in the NFL. Vaughan: It’s unfortunate. That’s all I want to say. Vazquez: I think it’s a sad situation. Speaking as an athlete, sometimes guys think they can get away with anything they want, but it doesn’t work that way. Q: Who were you rooting for in last year’s Super Bowl; the Bears or the Colts? Buchholz: I was mostly rooting for the Colts. I like Manning and Marvin Harrison. Ellsbury: The Colts. Part of it was Tony Dungy, and what he had to go through with his son. Hagadone: I was rooting for the Colts. My fantasy team had a lot of Colts on it. Masterson: The Colts, partly because my sister lives in Indianapolis. I also love Marvin Harrison, because he’s a great player and the last person who would tell you that he is. Moss: Definitely the Bears. Brian Urlacher is my favorite player, and the Bears are my favorite team. Vaughan: I was rooting for the Colts, because I wanted to see Peyton Manning win it. I didn’t want him to fall into the same trap as Dan Marino, who was criticized for not winning a Super Bowl even though he was ridiculously good. Vazquez: The Colts. I was actually born in Indianapolis, and I’m a Peyton Manning fan. Weeden: The Colts. I’m a Peyton Manning fan, and he deserved to win a Super Bowl. Q: Any predictions for this season? Bowden: The Bears will most likely win the Super Bowl. Buchholz: I’m going to go with the Cowboys having a good year. They’ll at least get to the playoffs. Ellsbury: I want to see the Seahawks go all the way. If Shaun Alexander, and everyone else, stays healthy, I can see it happening. Hagadone: I think the Colts will probably win it again. Wayne, Harrison, and Addai are still there, and like Manning they’re all really good. Masterson: The Colts will be good again, but I’d love to jump on the Bengals’ bandwagon. There’s a lot of talent there, and I can see that train roaring down that track. Moss: I think the Bears will be better, and the Colts worse. And I don’t even care about the Falcons. Natale: Pats over the Saints. 27-13. Vaughan: I predict that the Patriots won’t have a single receiver with over 1,000 yards. And they’ll still win the AFC. Vazquez: The Patriots will always be competitive, and I think the Bears will be good again. And while I’m not predicting that they’ll make the playoffs, the Lions will surprise some people by being better this year. Weeden: I would say it will be the Colts again. Or maybe it might be the Chargers. Bowden: He would be the young protégé of Brian Urlacher. Buchholz: He would have over 2,000 yards receiving this season. Ellsbury: He’d be a starting wide receiver for the Seahawks. Hagadone: He’d be a quarterback and a top-rated passer. Masterson: He would be a tight end for Brett Favre. Favre would hit me, and I’d catch it. Moss: He’d be awesome! Just kidding -- I’d be a strong safety. Natale: He would be the slot receiver for Tom Brady, instead of Welker. Vaughan: It would have to be an invented position, because I’m too slow for a skill position and not big enough to play on the line. Or maybe I could be the first 6’5” kicker? Vazquez: He would be -- oh, man -- he would get hurt! Weeden: Hopefully the starting quarterback for the Falcons. Bowden: We play every day. Ellsbury: One is a contact sport in a 16-game season, and the other is 162 games. Hagadone: You play every day in baseball. It’s an every day grind. Masterson: In football, if you get upset you have an opportunity to lay someone out. In baseball you can’t do that. Moss: Football is complete emotion. Baseball is not. Natale: In football there are a lot bigger dudes running at you full speed, while in baseball there are a lot of big dudes throwing at you full speed. Vaughan: Football demands more teamwork and communication than baseball does. Vazquez: The physicality of football. I get banged up as a catcher, but compared to what Monday morning feels like, it’s not even close. Weeden: Football is a lot more intense; a lot more enthusiastic. 9/9 Cup of Coffee: Then there was one. That is the result of Portland being eliminated last night. The Sea Dogs fell 4-0 to Trenton losing their series 3 games to 1. Chris Smith started and went 6 innings giving up 4 runs on 7 hits and 2 BB. He had 6 Ks. Hunter Jones pitched a scoreless inning allowing 1 hit while fanning 2. Beau Vaughan threw a 1-2-3 8th inning while Barry Hertzler pitched a scoreless 9th allowing 1 hit. Jeff Natale and Jay Johnson each went 2 for 4. They were the only Sea Dog hitters to average over .300 in the Series. Then there was the one. Lancaster edged Lake Elsinore 3-2 in 10 innings to take a 1-0 lead in their best of 5 series. They scored the winning run on a sacrifice fly by Brad Correll. Kris Johnson started and went 6 innings allowing 2 runs on 3 hits and 3 BB. He had 1 K. TJ Large went 3 innings and was not charged with giving up a run although he was charged with a blown save. He allowed 3 hits, 0 BB and had 2 Ks. Chad Rhoades earned the win pitching 1 scoreless inning. He gave up 1 hit. Ryan Khoury went 2 for 5. Zach Daeges went 2 for 5 with a home run. Lancaster OF Zach Daeges continued his season-long tear through the Cal League in August, posting a .372/.477/.686/1.164 line over 23 games, and was named SoxProspects.com Player of the Month for August. Daeges notched 32 hits in 86 at-bats, including four HR, 11 doubles and two triples, scoring 30 runs while batting in 28, and walked 18 times while striking out 19. He also stole one base (0 CS). On the season Daeges is .330/.423/.579/1.002 with 21 HR, 55 doubles (a Cal League record) and five triples, and 113 runs batted in. He also was named to the Cal League Post-Season All-Star Team. Daeges, 23, was a 6th round draft choice in 2006. Lancaster LHP Dustin Richardson was on a roll following his August 14 promotion from Greenville, going 4-0 in four starts and holding the opposition to a 2.74 ERA, and was named SoxProspects.com Pitcher of the Month of August. Richardson allowed 14 hits over 23 innings pitched with Lancaster, a .173 batting average, striking out 25 and issuing five walks. Prior to his promotion, Richardson made two starts for Greenville in August (1 & 6), going 0-2 with a 3.24 ERA in 8.1 IP (3 ER), allowing nine hits and four walks, while striking out eight. 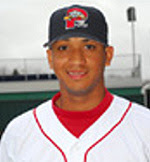 Richardson, 23, was a fifth round pick in 2005 out of Texas Tech, and previously was named SoxProspects.com Pitcher of the Month for April. Honorable mention goes to Zach Daeges, who just missed out on the OF vote against some tough competition after having a spectacular season. 9/8 Cup of Coffee: Portland were defeated 3-2 by Trenton. They now trial their bset of five series 2 games to win. Michael Bowden started and took the loss. He went 5 innings giving up 3 runs on 6 hits and a BB. He had 5 Ks. Daniel Haigwood threw 2 2/3 scoreless innings. He allowed 1 hit and a BB. He had 2 Ks. Andrew Dobies pitched 1 1/3 perfect frames. He had 1 K. Andrew Pinckney went 2 for 4 with 2 runs scored. Zach Borowiak went 2 for 4 with 2 RBI. Lowell ended their season on a losing note falling 5-4 to Brooklyn. It was the Spinners 5th straight loss. They ended the season in 2nd place in the Stedler Division of the NY/Penn League with a 40-36 record. Felix Doubront (1-3) went 5 innings giving up 3 runs on 4 hits and 2 BB. He had 6 Ks. Eammon Portice threw 3 innings allowing 2 runs on 1 hit. He had 3 Ks. The Spinners outhit the Brooklyn squad 12-5 in the game. Oscar Tejeda and Kade Keowen each went 2 for 4 with a run scored. Will Vasquez went 2 for 4 with 2 RBI. Brett Lewis went 2 for 3 with a RBI. David Marks went 2 for 3 with a RBI. Player of the Night: Daniel Haigwood who threw 2 2/3 scoreless innings of relief in Sea Dog loss. 9/7 Cup of Coffee: Portland evened their playoff series with Trenton with a 3-2 win last night. Trailing 2-0, the Sea Dogs tied the game in the 6th and then won it in the 13th inning. Charlie Zink started and went 7 innings allowing 2 runs on 4 hits and 3 BB. He had 5 Ks. Jose Vaquedano threw 3 scoreless inniongs of relief. He allowed 2 hits and had 1 K. Barry Hertzler threw 1 scoreless, hitless inning. He allowed 1 BB and had 2 Ks. Mike James threw 2 scoreless inning allowing 1 hit. Iggy Suarez went 2 for 5 and scored a run. Bryan Pritz went 2 for 5 with a run scored and 2 RBI. Andrew Pinckney went 2 for 5 with a RBI. Brooklyn edged Lowell 3-2 in 11 innings. Jordan Craft went 5 innings allowing 1 run on 3 hits and 2 BB. He had 4 Ks. Carlos Gonzalez threw 3 perfect innings of relief. He had 3 Ks. Felix Ventura (1-1) blew the save and took the loss. He allowed 2 runs on 2 hits and 2 BB in 2 1/3 innings of work. He had 2 Ks. Ryne Miller went 1/3 of an inning retiring the only hitter he faced. Oscar Tejeda went 2 for 4 and scored a run. Rafael Cabreja went 2 for 4 with a RBI. Player of the Night: Jose Vaquedano who threw 3 scoreless innings of relief for the Sea Dogs. He allowed 2 hits but did not walk a batter. Seekonk (MA) native Ken Ryan joined the Red Sox organization as an undrafted free agent out of Seekonk High School in 1986 and worked his way up to pitching and often closing for big league club between 1992 and 1995. Over the course of his career, Ryan went 14-16 with 30 saves. Ken now manages the Ken Ryan Baseball Academy in Pawtucket and broadcasts for the PawSox on occasion. Ken generously agreed to answer a few questions from SoxProspects.com. Special thanks for Ken for taking the time for the interview! SP: You were signed by the Red Sox as an undrafted free agent out of Seekonk (MA) High School in 1986. Can you describe what the draft process was like for you and what it was like being signed by the home town team? KR: In 1986, I was a senior at Seekonk High. It was a very exciting time with both college and pro scouts attending my games. My grades were fair but I had an opportunity to attend the University of Maine on a partial scholarship. The draft came and went and I wasn’t drafted, partly because many pro scouts figured I was going to Maine, but I think the main reason was because I was very raw. For the most part, I had poor mechanics and no real breaking ball. However, I did have a good fastball in high school that sat around 85-88 mph. Still , I was not a top prospect. After the draft, I was approached by Bill Enos, who was a scout for Boston at the time. He was a scout with a lot of experience, and had signed Rich Gedman and a lot of other local talent. He was a great salesman. He talked to both my father and I for about an hour one day. The thrill to play for Boston suddenly seemed realistic. My family and I had a huge round-table discussion and came to the decision to give it a shot. I always could go back to school when my career was over - which at that time I was thinking probably would be in a few years. I was confident in my ability, but also realistic knowing that the chances were so slim to make it to the bigs. In June of that year, I finally signed with Boston. That year, the Sox also drafted and signed Curt Schilling and Scott Cooper. I went to Elmira NY to start my career. I was so darn nervous and excited. The first day I put on my uniform, it gave me chills. I was only 17 at the time and the youngest player on the team. Everyone there was either out of college or a stud athlete out of high school, and I was 8-5 in my senior year at Seekonk High. It was just a great thrill to be playing at that level, and I walked on egg shells for my first few weeks. Then, when I finally got into a game I felt a little more comfortable. All the draftees were so confident, and everyone had the same dream. Unfortunately, out of the 30+ players that signed that year only three of us made it. Schill, Cooper, and myself. SP: During your time in the Red Sox system, you spent time in Elmira, Greensboro, Lynchburg, Winter Haven, Sarasota, New Britain, and Pawtucket before sticking with the big club. Any favorite spots on your way up the ladder? What were your favorite and least favorite aspects about your time in the minors? KR: I really enjoyed playing in all cities. One of my favorites was Greensboro, North Carolina. It was a great city where the fans just loved minor league baseball. An old ballpark in the center of town was our home. In 1987, it was my first full season and I enjoyed a 3-12 season. Of course, nothing compares to Pawtucket. Growing up in Seekonk, which was only a stones throw away, made for great fun. The PawSox experience was just a dream come true, since I had watched games there so many times growing up. They run the organization like a big league team. Great front office and the fans know their baseball. The minor leagues were so influential to me - not only because they helped me learn the game of baseball, but also the experience helped me to become an adult as well. SP: Spending some time in the broadcast booth for Pawtucket in 2007, you got an first hand look at a lot of the talent coming down the pipe for the Red Sox. What players have impressed you the most? KR: I thoroughly enjoyed watching Jacoby Ellsbury play. He is so much fun to watch. Speed, speed, speed. We haven’t had someone like that in a very long time. I was also very impressed with Adam Mills in Lowell. I think he is a very smart pitcher. He should move through the system rather quickly. Obviously now we know what Clay Buchholz can do as well. He is a very polished and relaxed young man. I thought he would well when he got promoted, but a no-hitter!! Brandon Moss is another guy who has some good pop. He struggled a little down the stretch but I believe he is one who will be playing for someone in the majors for some time. SP: Between coming up through the organization yourself in the late 80s and early 90s, and now broadcasting for the PawSox, you’re in the unique position of being able to understand the differences between the Red Sox minor league system under the the previous and current ownership groups. What do you see are the major differences between the Red Sox system now and the Red Sox system then? KR: Well, everything now is based on protecting the young talent. We didn’t really go by pitch counts too much when I played. If a guy got tired or in a rut, they took him out. Now, everything is pitch count, pitch count, pitch count. Some of the minor league clubs I was on didn’t even have a pitching coach. Now, every team at every level has a pitching and hitting instructor. Times have changed and so has the amount of money invested in these players. These young men are the team’s investments. Long term hopefully. I have a large amount of respect for the scouting and minor league operations for Boston. Everyone involved works so close together and they're all on the same page. It has been a long time since the Red Sox have stockpiled such great young talent. So many players over the last few years have made immediate impacts. Pedrioa, Papelbon, Youk, Lester, Buchholz. There are many still to come. SP: In addition to broadcasting for the PawSox, you also run the KR Baseball Academy. Can you tell us a little bit about what you do at the Academy? KR: We opened the KR Baseball Academy in January 2005. It has been the best thing I have ever done since playing ball. I can’t tell you how much I enjoy instructing. The School is in Pawtucket, about one mile from McCoy Stadium. We have programs for young players starting in October and ending in May. We do everything from pitching to hitting to catching. If you visit my website at krbaseball.com, you can find so much about our classes and facility. 9/6 Cup of Coffee: Portland lost game one last night 3-1 to Trenton. Justin Masterson started and took the loss going 5 innings. He gave up 2 runs on 7 hits and a BB. He had 2 Ks. Andrew Dobies threw 2 scoreless innings allowing 1 hit. He had 1 K. Barry Hertzler pitched the 9th allowing 1 run on 2 hits and a BB. Dusty Brown went 2 for 3. Jay Johnson went 3 for 4. Lowell was eliminated in their quest for the Division Championship last night losing 3-1 to Brooklyn. Nick Hagadone went 3 innings and did not allow a run. He gave up 1 hit and a BB. He had 6 Ks. Adam Blackley threw 5 innings giving up 1 run on 3 hits. He did not walka batter and had 8 Ks. Scott Lonergan threw 2/3 of an inning and took the loss. He allowed 2 runs on 2 hits. He had 2 Ks. Che-Hsuan Lin went 1 for 3 with a RBI. Ryan Dent went 1 for 3 and scored a run. Another lesser-known member of the Red Sox system forced himself into the spotlight last week, in his August 28 start against Trenton (Yankees) Portland RHP Felix Diaz faced one batter over the minimum in seven innings of work, earning the win and SoxProspects.com Pitcher of the Week honors. Diaz, 27, struck out six while allowing one hit and walking none, an .045 BAA/.091 OPSa. He was signed as a minor league free agent in July after appearing in 21 games for AAA Columbus (Nationals) and spending 2006 in Japan. Known more for his glove work than his bat, Lancaster SS Christian Lara was explosive at the plate last week, swinging the bat at a .353/.522/1.059/1.581 clip (6/17) with three HR, causing the voters to take notice and earning SoxProspects.com Player of the Week honors for the week of August 26-September 1. He also doubled and tripled, batted in nine runs while scoring eight, and walked six times and struck out four. Lara, 22, was signed as an international free agent (Venezuela) in 2002 and spent the 2006 season at Greenville. 9/5 Cup of Coffee: Last night, Portland captured the final playoff spot in the Eastern League by defeating New Hampshire 7-4 in the sudden death game played at Hadlock Field. Tommy Hottovy (4-10) started and went 5 innings. 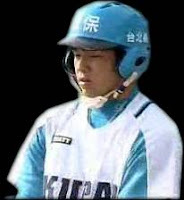 He gave up 1 run on 5 hits and 2 BB. He had 1 K. Hunter Jones went 1 1/3 innings giving up 3 runs on 2 hits and 2 BB. He had 2 Ks. Beau Vaughan went 1 2/3 innings and did not allow a run. He gave up 1 hit and a BB. He had 2 Ks. Mike James pitched a scoreless 9th allowing 1 hit. Jeff Corsaletti went 4 for 5 with a home run, 3 runs scored and a RBI. Iggy Suarez went 2 for 5 with a RBI. Aaron Bates went 2 for 4 with a run scored and a RBI. Andrew Pinckney went 2 for 3 with 2 home runs and 3 RBI. Tony Granadillo went 2 for 4 with a RBI. The Sea Dogs now face Trenton in a best of five series for the Eastern League's Northern Division Championship. Vermont defeated Lowell 4-2. The setback along with Oneonta's win left the Spinners 3 games back of first with just 3 games left. Miguel Socolovich (5-4) went 5 innings and gave up 4 runs on 4 hits and 6 BB. He had 4 Ks. Ryne Lawson threw 3 scoreless innings allowing 2 hits. He had 1 K. Rafael Cabreja went 2 for 4 with a RBI. In recognition of his no-hitter against Baltimore on Saturday night, RHP Clay Buchholz has been named American League Player of the Week for the week ending September 2. He is the seventh Red Sox player to be so named in 2007. This afternoon Terry Francona announced that Buchholz will primarily be used in "structured innings" out of the bullpen in order to manage his innings workload for the remainder of the season; however, Francona would not foreclose the option that Buchholz could make another start at some point during the remainder of the season. RHP Devern Hansack has been recalled from Pawtucket and will be with the Red Sox tonight against Toronto. Hansack threw a perfect inning of relief last night against Scranton/Wilkes-Barre (Yankees) and is expected to be used out of the Sox bullpen. In 25 games (23 starts) with Pawtucket, Hansack owned a 10-7 record with a 3.61 ERA (56 ER) over 139.2 IP allowing 126 hits while walking 40 and striking out 131. Terry Francona indicated today that Hansack may be the last of the September call-ups. In other promotion news: C Dusty Brown and OF Josh Reddick will be joining the Portland Sea Dogs for their one-game playoff tonight against New Hampshire (Blue Jays). Reddick is being promoted from Greenville and Brown is being returned from Pawtucket. To make room for them RHP Blake Maxwell and C Salvador Paniagua have been returned to Lancaster. 9/4 Cup of Coffee: Last night, Pawtucket ,with their callup depleted lineup, were defeated 8-5 by Scranton/WB. The PawSox ended the seson with a 67-75 record which left them in 4th place 16.5 games behind Northern Division winners Trenton. David Pauley went 5 innings allowing 4 runs on 10 hits and 2 BB. He had 3 Ks. Devern Hansack threw 1 perfect inning. Craig Hansen went 2/3 of an inning giving up 1 run on 1 BB. Craig Breslow (2-3) threw 1 1/3 innings allowing 1 run on 2 hits. He had 2 Ks. Edgar Martinez went 1 inning allowing 2 runs on 2 hits. He had 1 K. Jeff Bailey went 2 for 4 and scored a run. Chad Spann went 2 for 4. Junior Spivey went 3 for 4 with a home run and 4 RBI. Portland lost 11-7 to New Britain. New Hampshire also lost leaving the two teams tied for the final playoff spot. The teams will square off tonight at Hadlock Field in a sudden death match to decide who will advance to the playoffs. Chris Smith (6-9) started the game and went 5 1/3 innings. He gave up 10 runs on 13 hits and 3 BB. He had 2 Ks. Blake Maxwell went 2 2/3 innings giving up 1 run on 3 hits. He had 3 Ks. John Otness went 2 for 5 with a run scored and a RBI. Aaron Bates went 1 for 3 with a home run, 2 runs scored and 2 RBI. Lancaster defeated High Desert 12-4. Travis Beazley (7-2) went 5 shutout innings allowing 1 hit. He did not give up a BB and had 4 Ks. Cody McAllister went 1 inning giving up 2 runs on 4 hits. Kyle Fernandes threw a scoreless inning allowing 1 hit. He had 1 K. Chad Rhoades went 2/3 of an inning allowing 2 runs on 4 hits. He had 1 K. TJ Large went 1 1/3 innings. He did not give up a run or a hit. He allowed 1 BB and had 2 Ks. Zach Daeges went 1 for 4 with a home run and 2 RBI. Lars Anderson went 1 for 3 with 3 runs scored. The Jethawks finished the second half with a record of 44-26. Greenville closed out their season with a 6-4 victory over Asheville. Joseph Guerra went 4 inning allowing 2 runs on 6 hits and 2 BB. Chad Povich threw 1/3 of an inning. He did not allow a run but gave up 2 hits and a BB. Chris Province went 1 2/3 scoreless innings giving up 1 hit. He had 4 Ks. Brian Steinocher (4-12) went 2 innings allowing 2 runs on 2 hits and a BB. He had 1 K. Josh Papelbon threw a clean 9th inning with 1 K. Argenis Diaz went 3 for 5 with a home run and 3 RBI. The Drive finished the second half in 7th place in the Southern Division of the South Atlantic League with a record of 29-41. Lowell lost 9-5 to Vermont. Oneonta also lost leaving the Spinners still 2 games back with 4 to go. Tony Bajoczky (0-2) went 3 1/3 innings giving up 7 runs on 9 hits. He had 1 K. Ryne Miller threw 2 2/3 frames giving up 2 runs on 4 hits. He had 4 Ks. Adam Mills threw 2 scoreless frames. He gave up 2 hits and 2 BB. He had 2 Ks. Oscar Tejeda went 2 for 5 with 2 RBI. Carlos Fernandez-Oliva went 3 for 4 with a run scored. Rafael Cabreja went 2 for 5 and scored a run. Will Vasquez went 2 for 3 with a run scored and a RBI. Player of the Night: Travis Beazley who threw 5 scoreless innings allowing just 1 hit. He did not walk a batter and had 4 Ks.